As part of a player's Xbox Live Gold subscription, one or more games are offered for players to try out during Xbox Live Gold Free Play Days. The Free Play Days tend to run over a weekend. 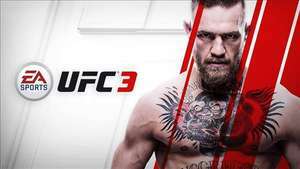 Xbox Live Gold members can try out MMA simulator EA SPORTS UFC 3. Give us Fight Night Round 5 or Champion 2 please EA!